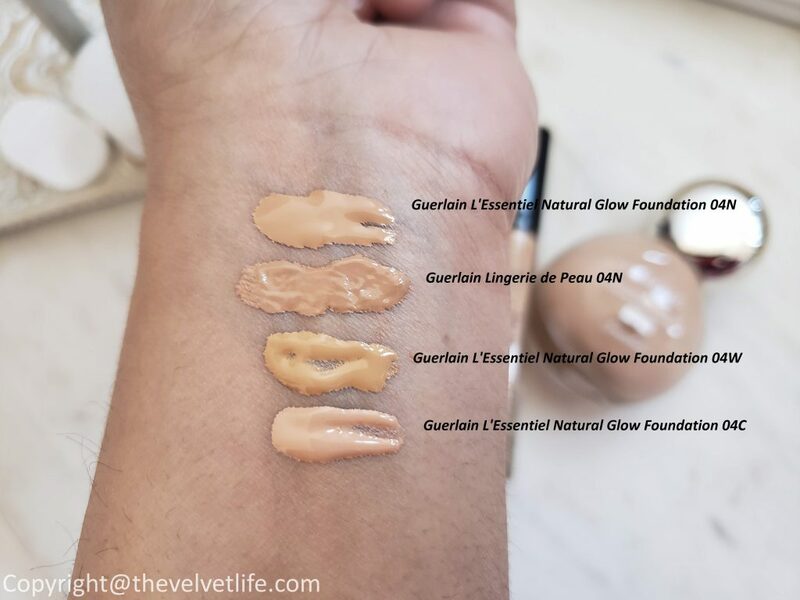 I am a fan of the Guerlain Lingerie de Peau foundation, reviewed here, since the last few years and it is one of my go-to foundation for everyday use. 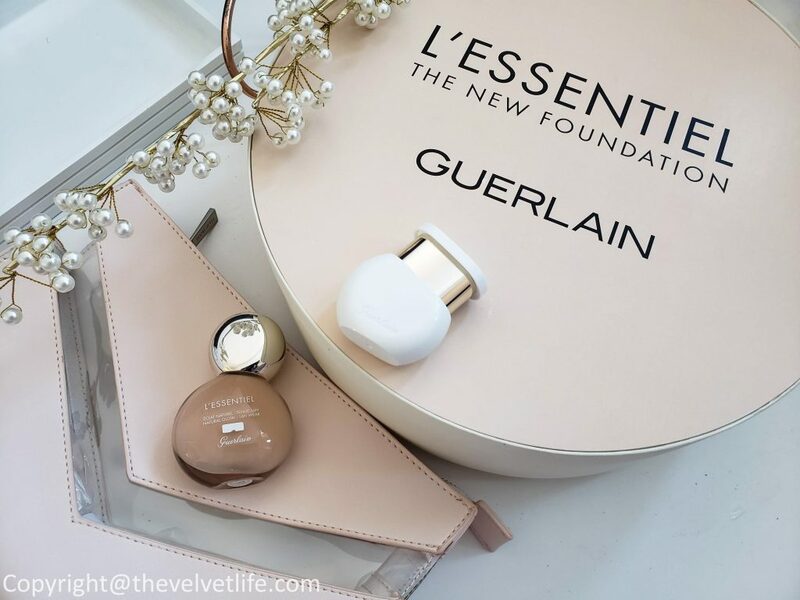 Guerlain L’Essentiel Natural Glow Foundation is one of the new launches which I have been so intrigued to try this year. 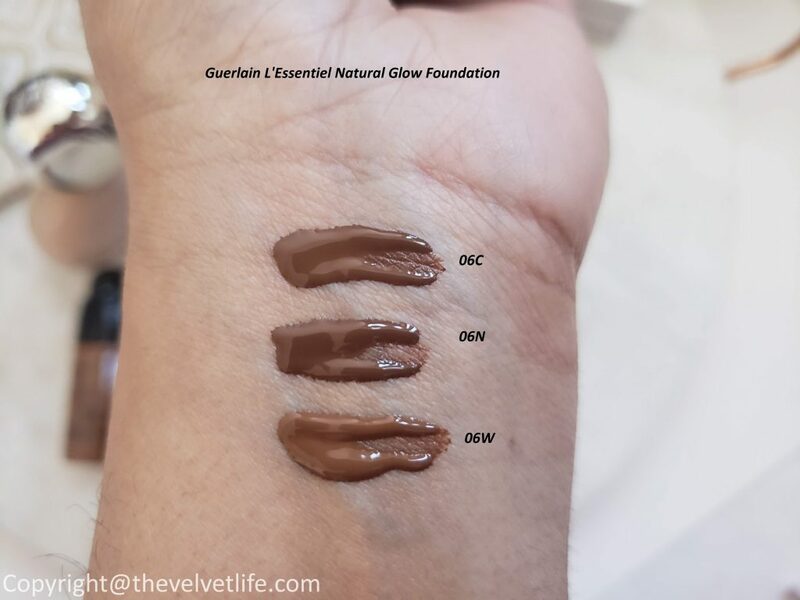 Since the first look of the unique foundation bottle surfaced online, it has really created an impression of uniqueness and luxury from the house. 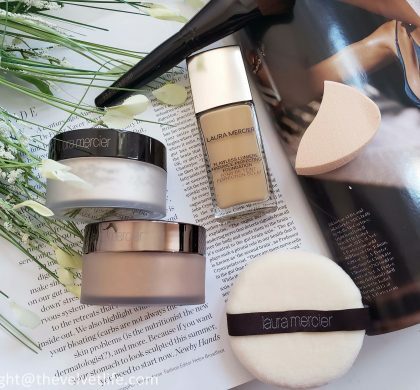 The word ‘glow’ in the name of the foundation is another plus-plus for me, I am all about the natural glow, dewy skin. 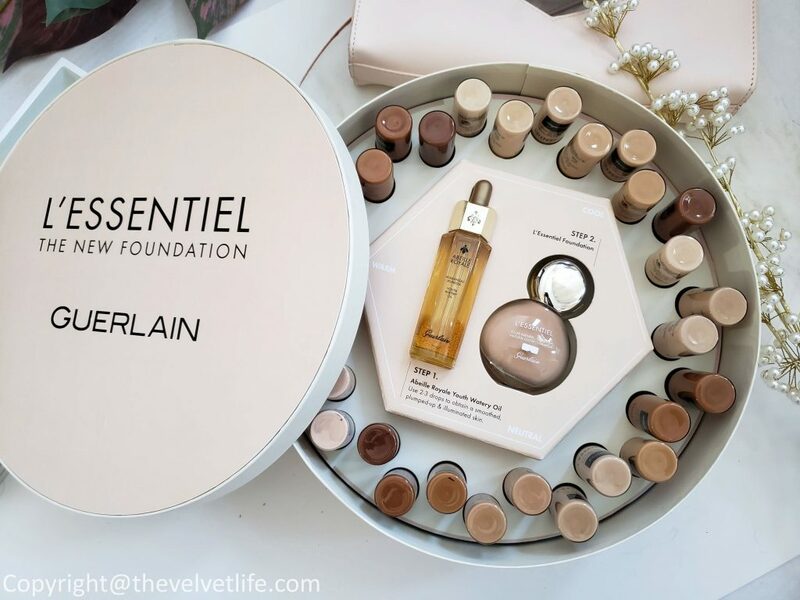 Guerlain L’Essentiel Natural Glow Foundation is described as a foundation made with 97% naturally-derived ingredients with a natural glow finish that lasts for 16 hours. The formula combines makeup with skincare benefits of hydrating, balancing, and protecting the skin from pollution. The unique design of the bottle by world-renowned designer Mathieu Lehanneur symbolizing the subtle art of balance. 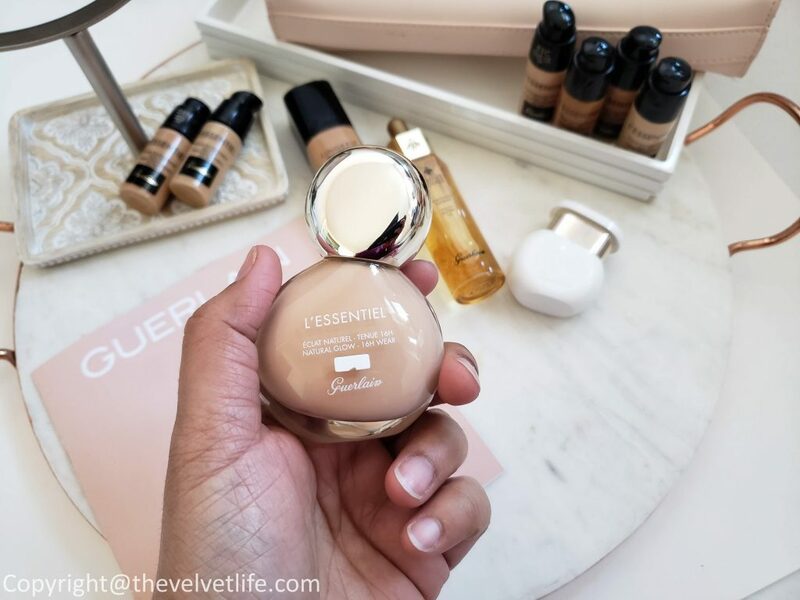 Guerlain L’Essentiel Natural Glow Foundation has a creamy texture that blends easily into the skin and looks very natural after application until the end of the day without caking or breaking. The formula is pigmented and one and a half pump is enough for me to have even more than medium coverage. It blends nicely with my fingers, brush, and even a sponge. 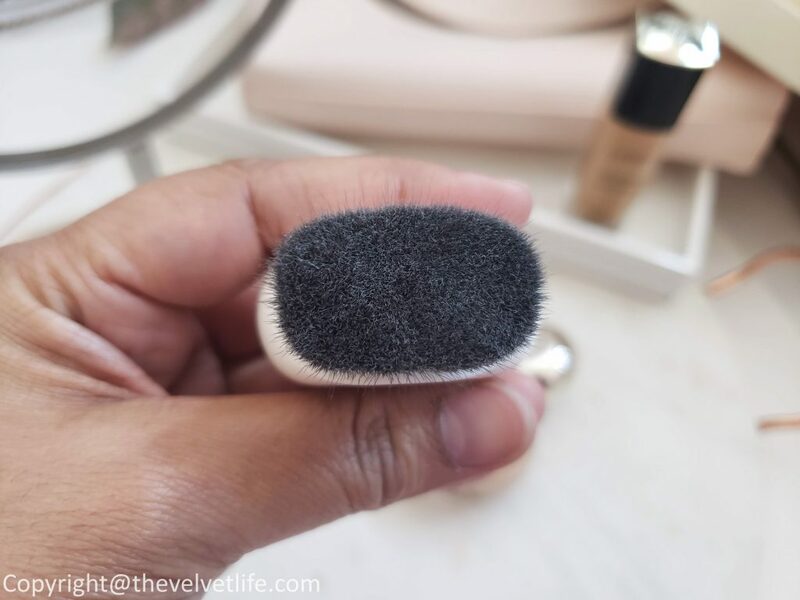 I do like it better with the brush launched along with the foundation called Guerlain L’Essentiel Retractable Foundation Brush. The finish is radiant glowy skin and after a few minutes, it is more of dewy finish which I am obsessed with. For my oily areas on the face – basically my nose and forehead, I use loose powder with a very light hand. It stays put all day with or without finishing powder. The pump bottle is really nice to work with. The finish looks very natural, like healthy supple radiant skin. With the skincare benefits in this formula, I am very positive it is keeping my skin in balance now and for the future. 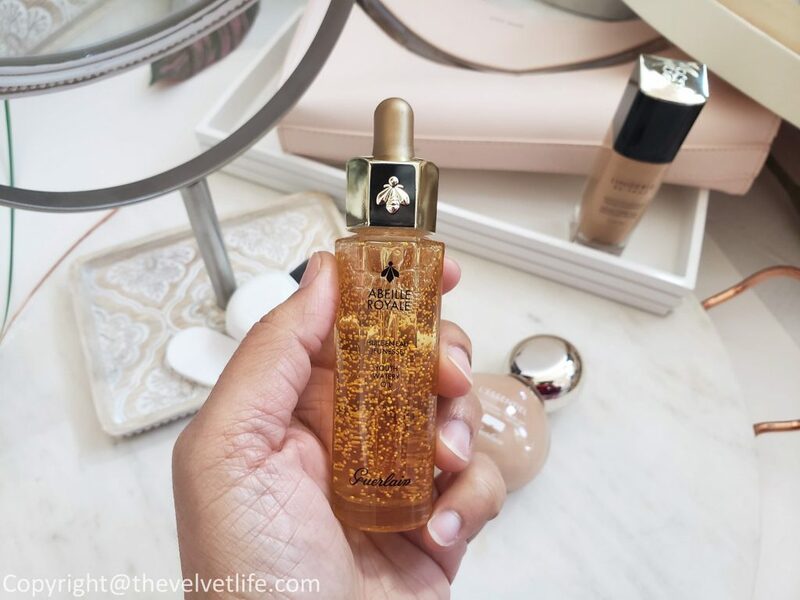 Guerlain Blurring Active Base and Guerlain L’Or Radiance Concentrate with Pure Gold. 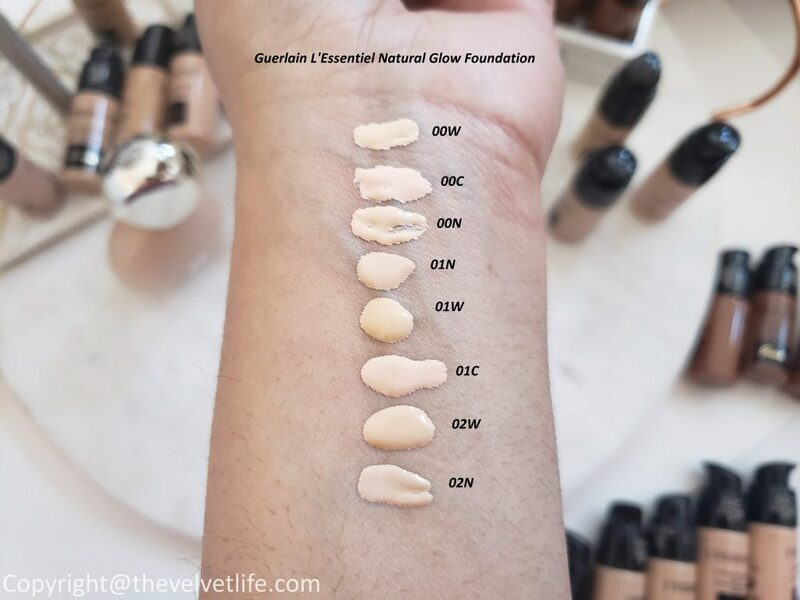 Guerlain L’Essentiel Natural Glow Foundation is available in 30 shades and I have swatched all the shades of the foundation below. 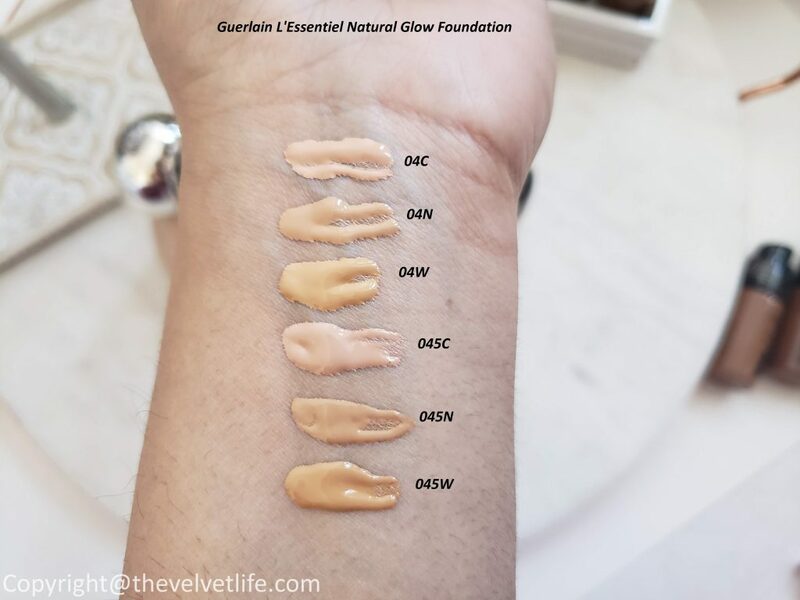 For my medium skin tone with golden undertones, the closest match to my skin tone in Lingerie de Peau is 4N as I think 4W was a bit too yellow for me. 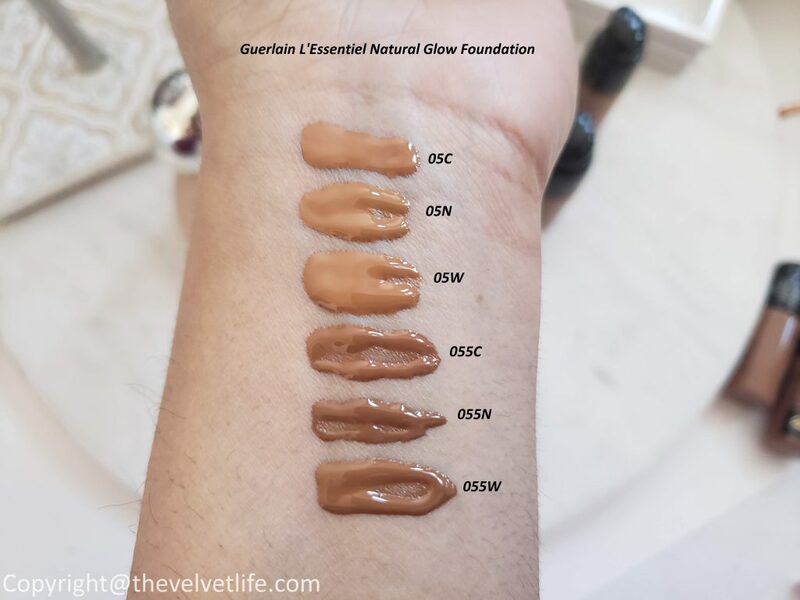 I have swatched the Lingerie de Peau with the L’Essential Natural Glow Foundation in 4C, 4N, 4W. 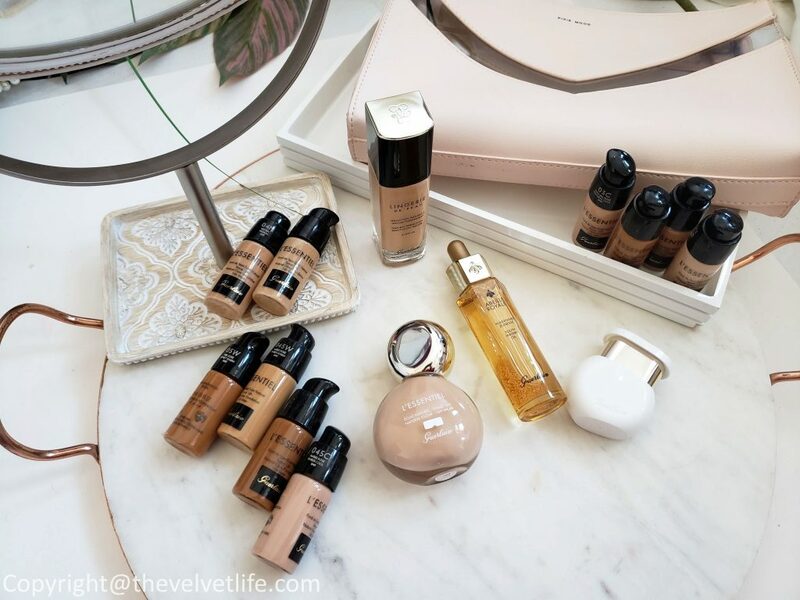 I am using 4N for both foundations, means you can easily shade match from Lingerie de Peau to the new L’Essential foundation. Guerlain Retractable foundation brush is also designed by Mathieu Lehanneur. The design is ergonomic and makes the application of the foundation a very pleasant and gentle ritual on the skin. 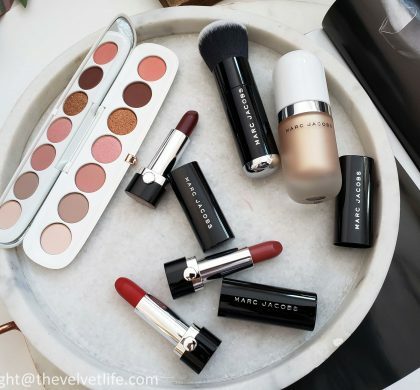 It goes nicely on all the areas of the face, sides of the nose, eye contour. I did not experience any streaking or demarcation lines for a natural make-up finish. I have washed the brush a few times, easy to clean, and there has been no shedding. The innovative retractable sleeve protects the soft, synthetic fibres. 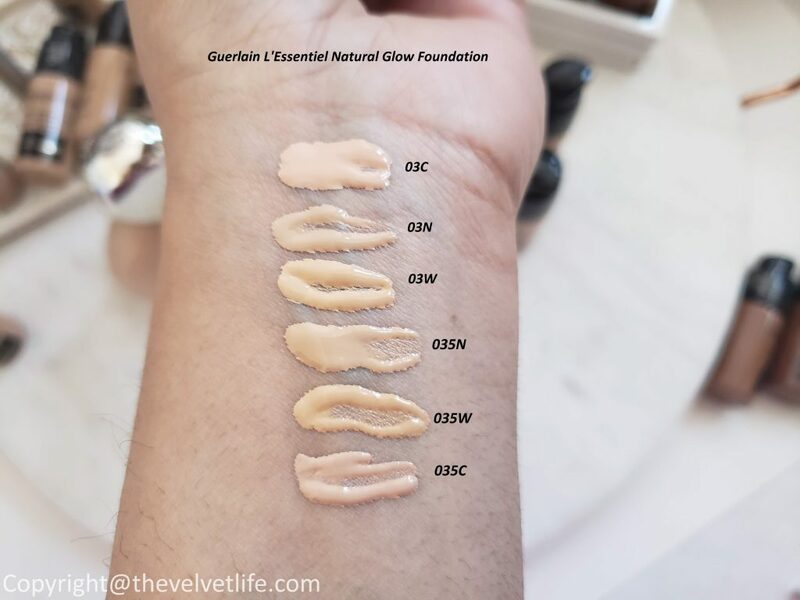 Overall, I am really impressed by the formula and finish of this foundation. 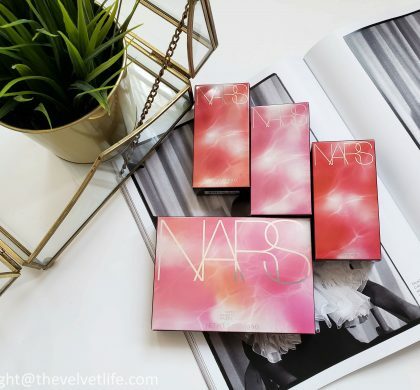 This foundation is absolutely worth checking out. Guerlain Beauty Products and Home Fragrances are available at Guerlain Boutiques, Hudson’s Bay, Shoppers Drug Mart, Saks Fifth Avenue, Sephora, and Holt Renfrew.